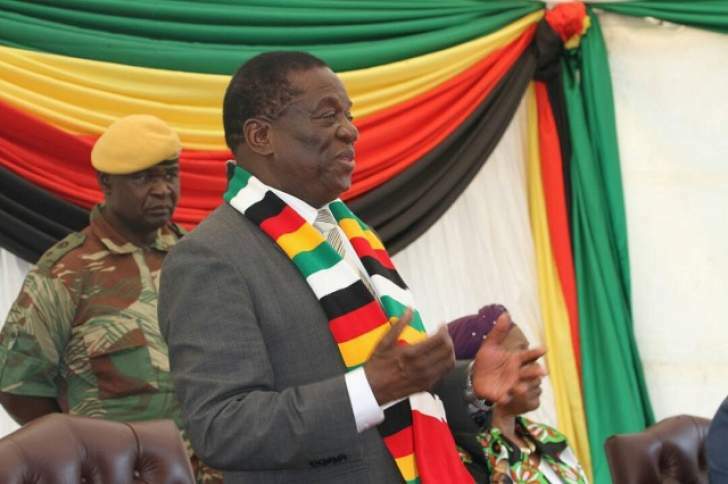 President Mnangagwa made the pledge on devolution yesterday when he addressed a rally at Phelandaba Stadium here to drum up support ahead of the July 30 elections. In the second republic, President Mnangagwa said, politics should occupy a back seat while economic development takes centre stage. "We are now saying politics yes but it should come after economics," said President. "I was telling your Provincial Minister of State Cde Abedinico Ncube that they were interested in saying Pamberi neZanu-PF. It's good yes, but now I am telling him that (it should be) Pamberi nedevelopment and creating wealth. For us to do that, we must now obey our Constitution. In our constitution, there is a provision which provides for decentralisation of central Government. That we have done. "Central Government is decentralised. You find the Ministry of (Primary and Secondary) Education is also at provincial, district and ward level. That is decentralisation of authority. "There is another decentralisation of power that we have not yet implemented called devolution, which is separate from decentralisation. "Devolution will require the surrendering of some amount of power to the provinces under provincial councils in terms of our Constitution, to give a province authority to manage the economy of that province and then the Provincial Minister's role will now change. It will become an economic role." President Mnangagwa continued: "They (provincial ministers) must see that the GDP of their province must grow. They must look at the resources of that particular province. Like Matabeleland South, you must make sure that in terms of agriculture, for instance, we have always favoured you, we have Mangwizi and Arda Maphisa (that) we have developed. When I started to come here, we only had about 250 hectares under irrigation. "Last summer we had 750 hectares and this year we will reach 1 000 hectares and if we get 10 tonnes per hectare because it's well managed, it means we will have 10 000 metric tonnes of grain at one farm of Arda and the same at Mangwizi. "If we do that we are now self-sufficient in terms of food and you will be exporting to others. That is important. "The second thing is that the Minister of State here in Matabeleland South should now know that resources that are here, the gold which is here, lithium which is here, diamond which is here and the copper which is here must be exploited. You must now put programmes and put on course an environment where those resources have to be exploited. That is the only way you can increase the assets of the province; the only way you can develop. When we do so, we will have good schools, good roads, good clinics and good houses. No one should be left behind saying I am poor. How can you be poor in a rich country like ours?" President Mnangagwa said Zimbabwe was now in good hands. He said his administration had achieved numerous economic projects within a short space of time. The president has come of age to understand that devolution is what our country needs to spearheard Economic Development and has made a public pledge to the people of Zimbabwe. These are the kinds of pledges that can never be met by the so called MDC alliance as we have seen them "United" before the nomination court sat down, on the day the court sat, some began to see that they were sold bottled smoke.